Charming cottage with ocean views, steps from the sand! Keuteeko.....a charming back cottage, just steps from the sand. 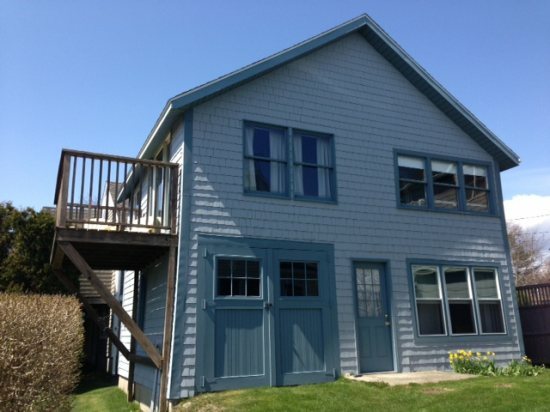 This clean, cozy cottage boasts views of the sparkling ocean from the second floor deck! Downstairs bedroom with full bed and 3/4 bath, plus laundry. Upstairs bedroom has full bed. Kitchen and living space upstairs offer dining, outside deck, and private sunroom.